For this latest release we’ve added a new Quick Tweet page which allows you to tweet 5 bookmarks at once, with the click of a single button. If you’re familiar with the Quick Share page, this new page functions exactly the same, except rather than submitting bookmarks to your social bookmarking accounts, it submits them to your Twitter account. Hopefully you’ll notice improved response times throughout the site. If you notice any bugs, as usual please let us know. Yesterday we released version 2.05 of SocialAdr. This release included our final enhancements prior to the new WSO we’ve been planning for a while. Bug fixed on Share Queue and Quick Share pages which was setting a limit of 10 “I prefer not to share this” bookmarks. 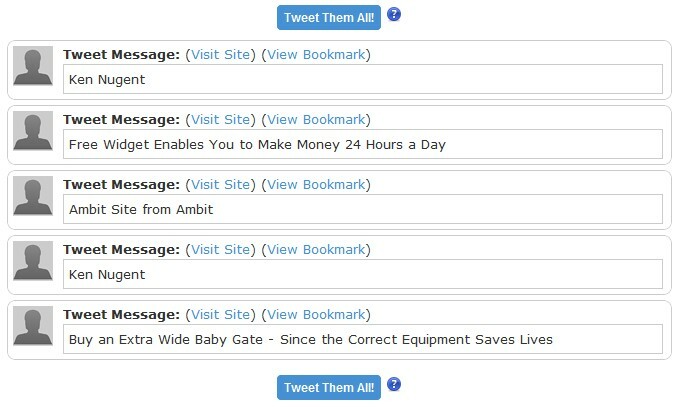 Users who had clicked the button more than 10 times would still see the additional bookmarks. Added the ‘Quick Share’ page. This page shows you the top five items in your queue and give you just one button to share them all. Added a daily ‘Quick Share’ email notification. If enabled, you will receive an email each day with your quick share items listed, as well as a button to take you straight to the ‘Quick Share’ page. Subscribed all free users to the ‘Quick Share’ email notification. All users can enable/disable this notification in the notifications settings area. 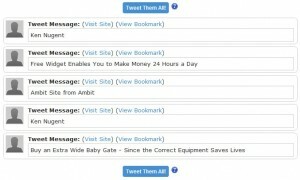 Increased the max number of shares per bookmark for free users from 2 to 10.